Once again, Westchester exhibited at the London Book Fair at the Olympia in Kensington, London, UK. This year, Dennis Pistone (Chairman) and Tim Davies (Managing Director, UK) were in attendance at our stand, and I joined them for the three days of the Fair to meet with our UK clients, as well as other partners from the US and Europe that were in attendance. I arrived to London before the Fair, to adjust to the jet lag prior to commencing the three busy days at the Olympia. 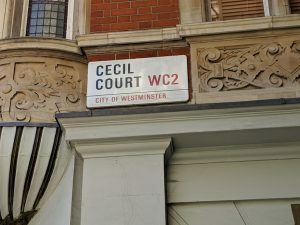 To pass the time in a literary way on the day before the Fair, I visited Cecil Court. 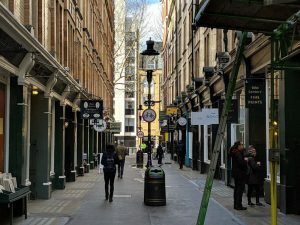 This tiny, one-block street in Central London is known as the city’s – and perhaps the world’s – best collection of antique book dealers, print makers, and more. 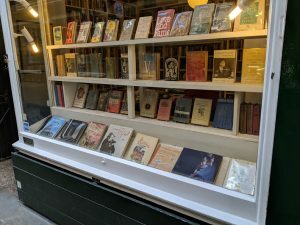 Photos are below, and a much better researched and detailed overview is available on Atlas Obscura, but suffice it to say that any book lover’s visit to London should include a brief stop by this Diagon Alley of literature. 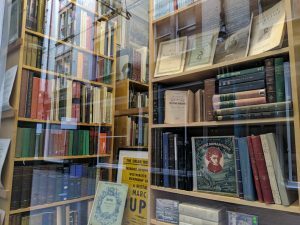 With the Book Fair underway on Tuesday the 12th, Tim, Dennis, and I were off to three solid days of meetings with customers, potential customers, partners, and friends. Leading up to the Fair, Publishers Weekly had covered Westchester’s 50th anniversary in an article in the March 4, 2019 issue. 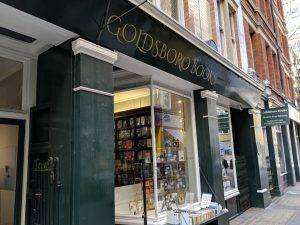 During the Fair, the coverage continued with an article in the Publishers Weekly London Book Fair Daily highlighting our expansion in the UK market through opening our office in Stratford-upon-Avon and hiring Managing Director Tim Davies. 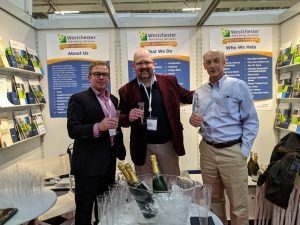 To cap off the observation of Westchester turning a half century old, Founder and Chairman Dennis Pistone joined Tim and me in our stand – along with our customers and partners attending the Fair – to toast our 50th. With friends from the IPG, Stationers’ Company, the media, and our growing UK client list in attendance, we were fortunate and happy to mark this milestone with well wishes all around for another half century. After a busy few days at the Fair and in other meetings around London with our partners, I had one last stop to make. As covered extensively in the media last year, Westchester’s partnership with Dropbox has helped our clients have faster file transfers with Westchester, increased internal speed and expanded capabilities within Westchester itself, and serves as the platform for our Client Portal. 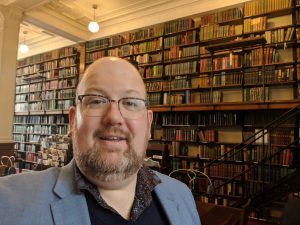 At the tail end of my trip to London, I was able to meet up with our partners from the UK Dropbox office at the London Library, to film a short overview of our work together. Stay tuned for footage from this conversation, coming this Spring, sharing more insights about the ways the Client Portal is expanding to help our clients better interact with their editorial and production projects at Westchester. Are you a UK-based publisher looking to learn more about how Westchester can help you with your editorial and production needs? 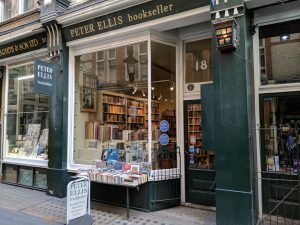 Visit our new UK website and contact us to connect with Tim Davies and discuss your publishing program.